Today’s health care providers rely on mobile carts to bring crucial technology directly to the patient’s bedside. Capturing data at the point of care is a key component in efforts to improve patient safety and quality of care. Mobile technology needs mobile power. 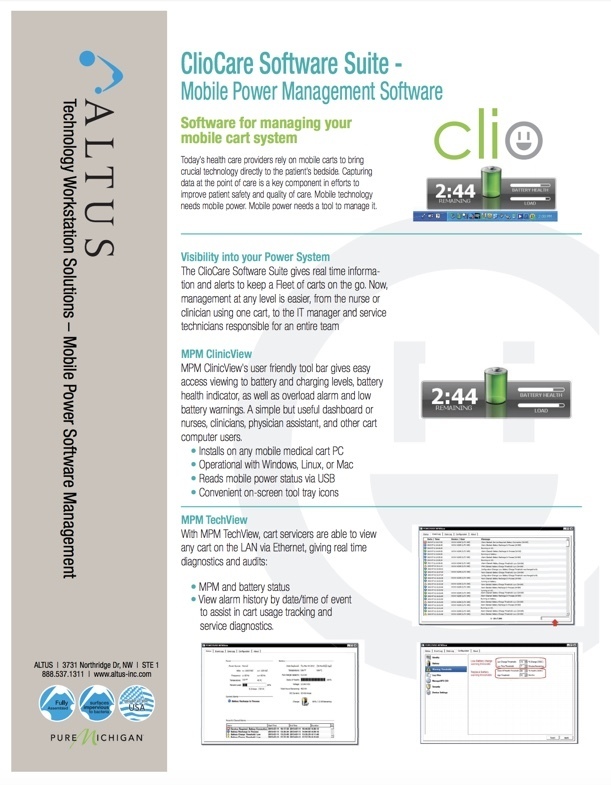 Mobile power needs a tool to manage it. Our integrated MPM View software is user-friendly with a simple but useful dashboard. It gives real-time information, alerts and warnings on your entire fleet of carts.